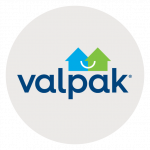 Let us introduce, or reintroduce, your business to the web with a website and a business profile page on valpak.com. Our responsive web design ensures that your business’ website will look just as good on a mobile device as it will on a desktop browser. As a full-service agency that’s Google Ads certified, we can also deploy other digital marketing campaigns to help you connect with customers. We provide pay-per-click advertising and social media campaigns, as well as SEO. Track your ROI with exclusive tools designed to give you superior proof of performance. Our performance tracking dashboard measures the quality and quantity of clicks and calls resulting from your printed coupon and digital ads offering clear details on your campaign’s performance. For specific dates and coverage, contact your Valpak of The Peninsula representative.